Reviewing S01E07 of "High Stakes Poker" in which Johnny Chan gets pocket aces and hopes to get paid. 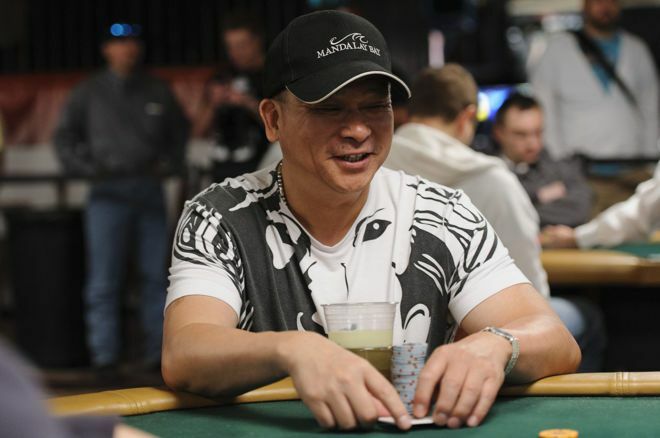 Big hands and big pots on "High Stakes Poker," with Johnny Chan picking up pocket aces two times. The popular show High Stakes Poker debuted in early 2006, with the first season lasting 13 episodes. Throughout the show's run, episodes were culled from multi-day sessions, so often the same players would be sitting around the table from week to week, although new players were frequently rotated in to change the makeup of the game. Years later the shows remain highly entertaining, and can even be educational. For new poker players they introduce the game while illustrating many strategic concepts, while those with experience can watch and recognize how certain strategies have evolved over the years since the shows aired. We pick up again with our look back at Season 1. Here in Episode 7, most of the players involved have agreed to introduce a $1,200 straddle (on top of the $300/$600 blinds), thereby ramping up the action and increasing the size of the pots. Johnny Chan gets active in this episode, thanks in large part to getting dealt pocket aces twice. The first time he doesn't get too much action, but he gets plenty the second time as discussed below. Doyle Brunson is also dealt the best starting hand in hold'em near the end of this one, and he gets a bit of action as well from Sam Farha. Then in the last hand of the night, Amir Nassari gets A-A himself and plays a decent-sized pot versus Freddy Deeb.